What makes a football player to be a legend that he is even honored in a game like FIFA 17? Well, in football, those who stand out through their special achievements. Mostly, they have scored important goals during various championships or they were conspicuous by their skill with the ball with brilliant passes. But legends are also formed by their personality, by their behavior and the magic, just by their presence in the square to create a magical atmosphere and so to become a fan favorite. Legends exceed the expectations of all and make a football game at a special event. 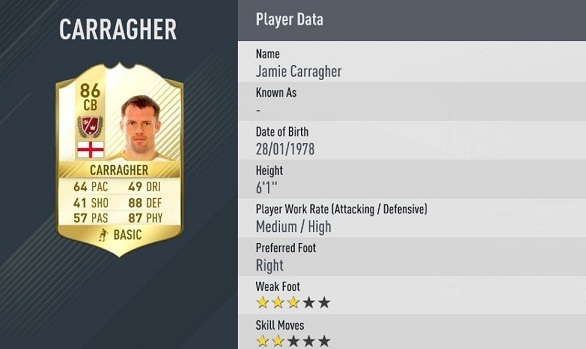 There will be 10 new legends in FIFA 17. You can easily recognize them in the game because they have a white-golden card. As for the values and benefits of the FIFA 17 legends, they are of course among the best players. Here this information is based on values that match the height of the respective career. Mostly they are points-moderately 86-95. The legends are solely and exclusively available for the Xbox One and Xbox 360 versions of the game. Of course, they can also be found in the pack with the rare players. You have also the possibility to buy the legends in the transfer market. But the legends are associated with any club and any special league. Their strength is calculated according to the so-called legends chemistry in Ultimate Team. Incidentally, all other footballers have the legends in FIFA 17 leagues. The compound of Legends cards with other cards always or at least in orange-colored, then the nationality match, there is a green compound.